Company reported results for drilling at Tuscarora Gold Project in Elko, Nevada. 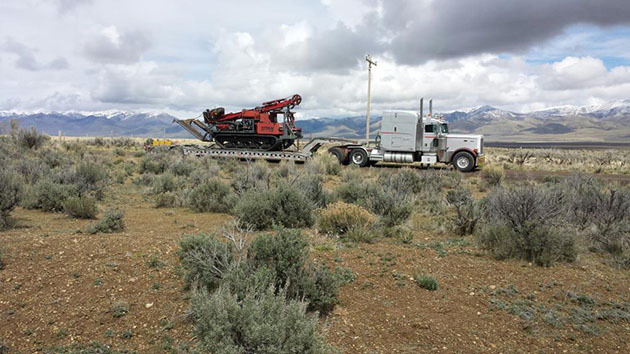 American Pacific Mining Corp. (USGD:CSE;USGDF:OTCPK) recently announced assays of the remaining 11 holes from the Phase 1 drill program at the Tuscarora Gold Project in Elko, Nevada. According to the news release, a total of 3,143 meters has been drilled by the company in 16 holes focusing on the South Navajo zone. This property is a 1,818 acre land package containing a series of high-grade vein systems and stockworks, optioned from NOVO Resources in late 2017, the company noted. AuAPTU18-016: 9.1m at 5.88 g/t Au (including 3m at 13.42 g/t Au). "I'm extremely pleased with these initial drill results. Assays have confirmed the historic results while also displaying a new level of disseminated mineralization on the property and adding considerable strike length to the mineralization. The focus of this project will expand to the other veins and structures that we know exist at Tuscarora, but have yet to be drill-tested," said Warwick Smith, CEO of American Pacific Mining. The company reported it has yet to assay any mineralized intervals for silver, but work is in progress and is expected to add to the value of the gold intercepts. Tuscarora is a high-grade gold project located in a prime precious metals district in Nevada, 35 km northeast of the Carlin Trend, 20 km southwest of the Jerritt Canyon deposit and 50 km east-northeast of the Midas deposit, the company reported.